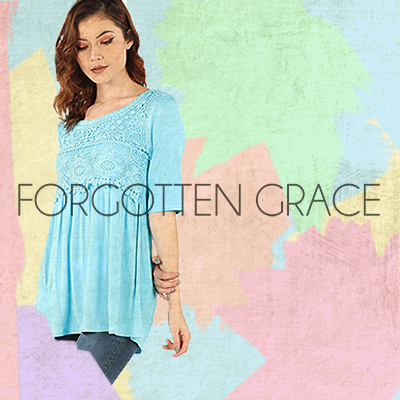 Forgotten Grace is a contemporary womens and plus brand that transcends all ages. It embodies the fashion lifestyle by providing seamless designs with touches of unique embellishments. Our clientele varies from retail boutiques to upper end major multi-store chains.